UGC10214 Tadpole Galaxy is a disrupted barred spiral galaxy located 400 million light years from Earth toward the northern constellation Draco. 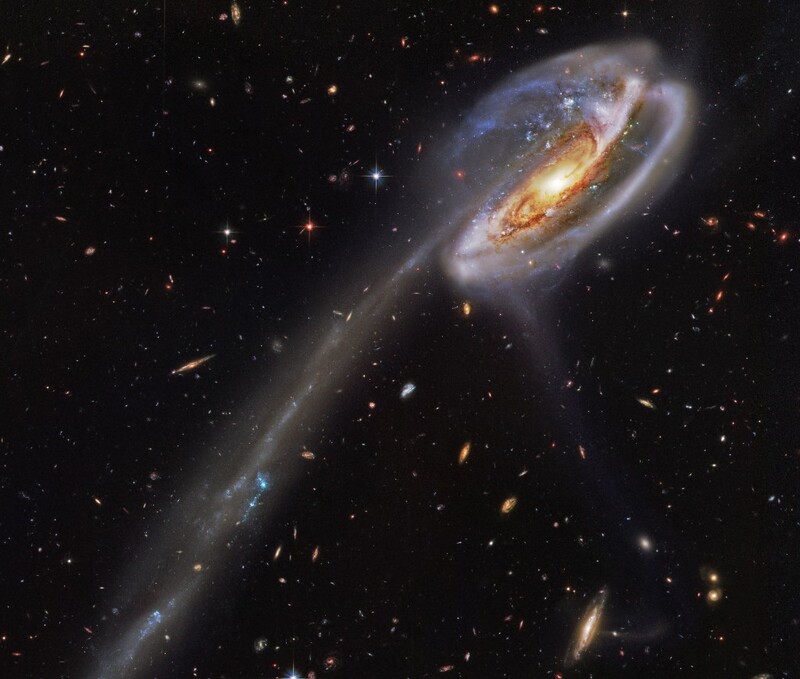 It is hypothesized that a more compact intruder galaxy crossed in front of the Tadpole Galaxy—from left to right from the perspective of Earth—and was slung around behind the Tadpole by their mutual gravitational attraction. 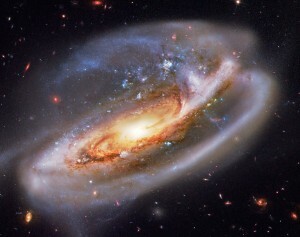 During this close encounter, tidal forces drew out the spiral galaxy’s stars, gas, and dust, forming the conspicuous tail. The intruder galaxy itself, estimated to lie about 300 thousand light-years behind the Tadpole, can be seen through foreground spiral arms at the upper left. Following its terrestrial namesake, the Tadpole Galaxy will likely lose its tail as it grows older, the tail’s star clusters forming smaller satellites of the large spiral galaxy.